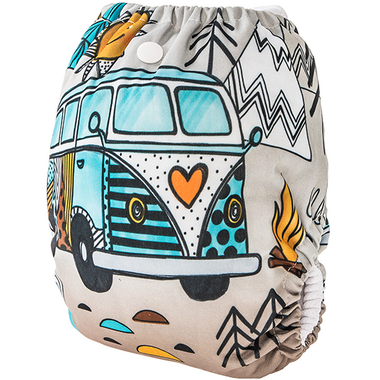 Funky Fluff 3-in-1 diaper is the original diaper designed to be used as an “All-in-1”, “All-in-2” AND “pocket diaper” utilizing strategic snap-in configurations. 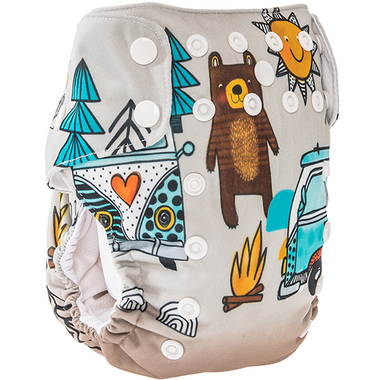 These refined LUX diaper shells include a slighlty larger middle (approx 1 cm), upgraded elastics and double PUL lined back snaps. Best of all, the Bamboo systems now come with a bamboo/terry soaker.